I was thinking today that we have less than 20 days till Easter, and apart from my little duckie I haven't made anything else for our Easter. So, I just wanted to share with you some of my favorite tutorials on Easter decoration. 1. You should definitely (if you haven't already) check out the Fabric Easter Eggs tutorial from Retro Mama, I know it's an oldie but a must-make!! Retro Mama is also having Sales till April 12, on all her patterns, kits, dolls on her Etsy Shop. Go check those out!! 2. This Revoluzzionary Easter Bunny from Revoluzza is absolutely adorable. The tutorial is very easy to follow and the result ssssooo cute:-) Here, take a look of the bunnies, don't you want to squize them and hug them? 3. 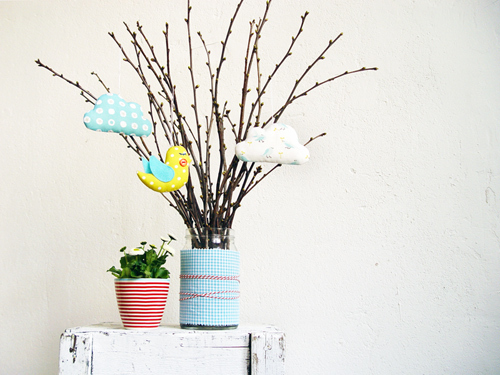 Revoluzza has another adorable tutorial on Easter decoration, on how to decorate your Easter Bouquet. What I love the most about this is that it's so Springy, and not just for Easter. 4. Last but not least another oldie but sssooo adorable the Chickummyjig by Myrtle & Eunice. Isn't this chick ridiculously cute?? I love the fabrics that she has chosen. These were only a few of my favorite projects for Easter. 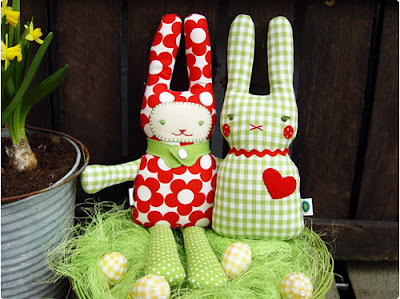 I thought it would be great if you'd like to share your creations, so I've made an Easter Crafts list on Linky tools. I hope it will work!!! So go ahead link up!!! those bunnies are darling! 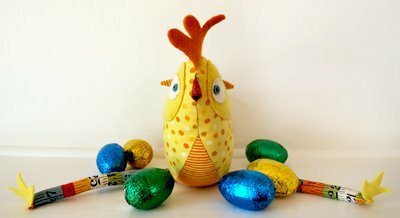 i am submitting a link to easter recipes- i know they aren't crafts, but cute indeed! 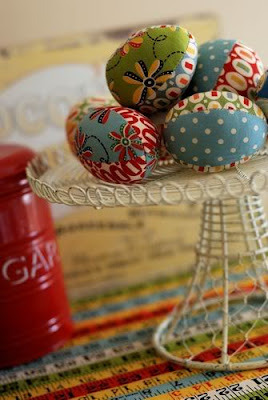 i totally want to try the fabric eggs!! new follower from Thirsty Thursday blog hop. I just found your blog through one of the blog hops! Have a great week! oh, love the one with the branches! Have a great day!